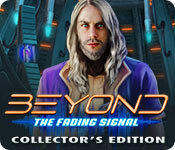 Beyond: The Fading Signal Collector's Edition is rated 3.8 out of 5 by 33. Rated 5 out of 5 by Majestyx12 from The Sentinel and His Sister To Save Earth Based on the finished game and bonus material The Last Beyond was in Nov.2016. We waited for another one and this one is Great but a little short. 4 Chapters+ Bonus. It has quite a bit of extras and the magic number is 29. 29 flying saucers swirls. 29 morphs in scene. 29 Treasure hunt items. There is also 19 morphs in the hops. 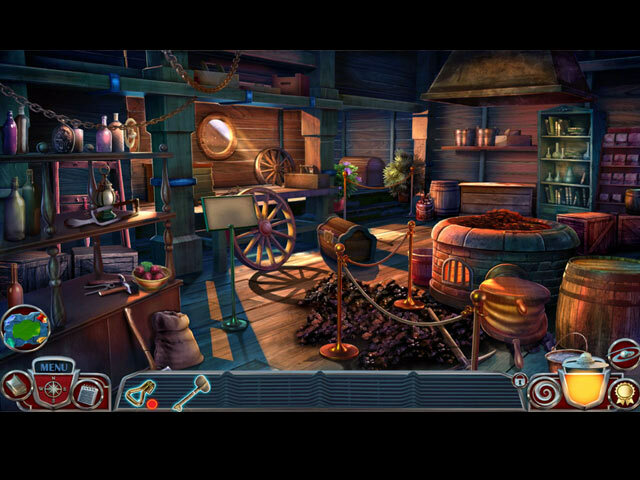 I missed one saucer swirl and I went to the collectibles and picked it up, which opened up the treasure hunt and when I finished the treasure hunt it open the Ultimate hops which I can play again. The music is pleasant and you can replay 10. You can replay 19 hops but it only had 4 wallpapers. Wanted the hops morph in the guide but wasn't. My favorite detail was the robots. The scenes are real nice. I liked the story. The bonus chapter was fun with the America Indian and pyramid theme with robot Orin. 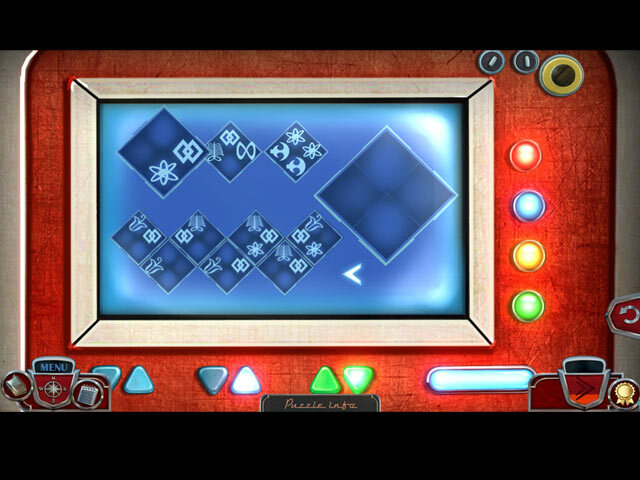 Too many puzzles in the bonus chapter. I liked how the bonus ended. Want more of this story next time. Rated 5 out of 5 by Kirland from Thank You!!! Beyond is Back Love the Beyond series. I am a fan of sci-fi and everything other worlds and aliens. Nicely done. Great graphics. Some hard puzzles--for me anyway. I had to use the guide to figure them out. Awesome storyline and likeable characters. Have to finish the bonus. I will replay as soon as I am done to try my luck at figuring out the puzzles without using the guide. I recommend you play the demo. I hope you enjoy this game as much as I do. Rated 5 out of 5 by Kay_Erin from A wonderful SF adventure I really enjoyed this game. Had a strong flavor of Andre Norton, (if you don't know this writer, and enjoy the game, check out her books) with young people adventuring out among the Galaxies. The puzzles were mostly doable for me, which is a good sign. The HO’s were varied. The alien “queen” was really Alien! Looked like a cover from Amazing Stories in the 1940’s magazine or “Astounding” magazine, (pulp fiction from a bygone era, for you young folks. The game isn't terribly long, and the sequel also was rather short, but good, wrapping up some loose ends. This is a good solid game and I highly recommend it! Rated 5 out of 5 by skullfun from ~~~ONE OF THE BEST SCI-FI ADVENTURES COMES TO BIGFISH.~~~ This is episode 3 in Madhead’s amazing Beyond series and just like the previous games, Light Advent and Star Descendant, this latest release is another out-of-this-world sci-fi masterpiece. Madhead developers really showcase their best work for this genre in the field of HOPA gaming. Amelia has been searching for her brother Reggie since separated during childhood when he was abducted by an alien race known as the “Galactic Force” while playing in their treehouse. Years have gone by and now Amelia is grown. She decides to visit the home she grew up after receiving a letter which she believes was recently written by her missing brother. When she arrives at the now abandoned family home she encounters a confrontation with a sinister being (aka eradicators) that frightens her into fleeing to a nearby hotel. There she learns from Nico (an elite member of the Galactic Force) that her brother Reggie is not only alive but is a Sentinel for the Galactic Force, chosen to defend mankind from a deadly contagion whose aim is to destroy everything by consuming planet Earth. Now you must find Reggie by traveling into space aboard a space station and rescue him; for he is the only one who knows how to stop this devious destructive plot. This will be a monumental under taking since the Eradicators (robot agents of the Contagion) will go to extreme lengths to stop you from progressing in the adventure. Your only hope is to journey with Reggie, contact the Elders of the Galactic Union to use their omnipotent Crystal weapon power and convince them to help you defeat the Eradicator robots and bring the crystal weapon to the heart of the contagion fleet and destroy their HORRID QUEEN! From the get go, I was absolutely hyped about this latest Beyond edition and it really exceeded my expectations. The storyline itself is entertaining enough on its own, but it also helps that Beyond: The Fading Signal has a top-of-the-shelf production. The visuals in the game are totally gorgeous; the artwork is creative, the vibrant colors are attractive, and even the animations are flawless. Moreover, the music comes in a nice variety that adds elements of excitement and suspense to the game. It is a no-brainer to go for the Collector’s Edition for this game; having also included a strategy guide, wallpapers, soundtracks, character biographies, achievements, collectibles, morphing objects, re-playable puzzles, and re-playable hidden object scenes. This is one of the best games offered in 2018 and I hope everyone who enjoys this series will have a blast playing this one. I highly recommend it for players of every level. Cheers! Rated 5 out of 5 by rainworm from Aliens ante portas! After we met our space boy in the first Beyond nd had to be 'mother bear' in the second one, we now enter the world of science fiction as sister of a sentinel! Our brother, who is a chosen one, to save our world from alien forces, we will fight the battle together with him. We loose him in childhood, when he dematerializes before our eyes. Only years later, when danger is imminent, we will be reunited. The contagion, a hostile force, which destroys all worlds, has arrived. Our brother sends us a message via an old talisman. A trusted friend of brother's new spheres, stretches out his helping hand, so we can reach our brother and assist him in his challenge. In the end we even shoulder the bigger part of the task and win the war against the leader of the contagion. A masterly mix of HOS and puzzles, fast paced, a thrilling story - all in all a great addition to the Beyond series! Rated 5 out of 5 by Gamingpip from Techies will like this one Let me add my positive thoughts to those who have already rated this game with 5 stars. 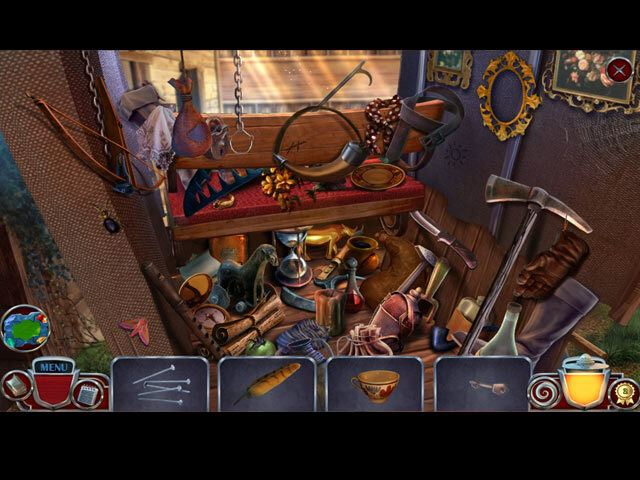 The best for me was the unusual presentation of the puzzles and the unique items that had to be manipulated to solve them.